This is a guest article by David Moser about the incredible changes the digital age has brought to learners of Chinese all over the world. David holds a Master’s and a Ph.D. in Chinese Studies from the University of Michigan, with a major in Chinese Linguistics and Philosophy. He’s currently Academic Director at CET Chinese Studies at Beijing Capital Normal University. David has previously contributed to my ask-the-experts article about learning Chinese grammar. In this article, he provides both a background for those who started learning Chinese recently, as well as an in-depth discussion about what has changed and what it means for learners today. Two decades ago, after I had studied Chinese for about four years, I suddenly realized that I had never read a novel in Chinese. In fact, I had not read any Chinese book in its entirety – the task was just too daunting. This would be a rather embarrassing admission for a fourth-year student of, say, Spanish, but back then this was a pretty common situation for us learners of Chinese. I had fairly good spoken Mandarin and a fair sense for the written language. Yet reading Chinese literature was virtually impossible. There were so many unfamiliar characters on virtually every line of the text that there was no way I could look them all up. So usually I would give up in despair after a frustrating few paragraphs of: “Here, Second-Elder-Sister, quickly take this (something) that our father (something) to Old Chen when his (something) was so tragically (something, something) during the Japanese (something), and never speak of this (something) to a soul (something something), I beg you!” You know the feeling. At that time Qian Zhongshu’s famous novel Weicheng《围城》was having a revival of popularity, partly due to a TV series adaptation of the novel. My friends at Peking University were all raving about it, so I decided to read the book myself – and I mean really read it. My goal was to understand every word, every idiom, and every unfamiliar character, getting as close to a full understanding of the text as I possibly could. As you can see from this one page, the whole process was painfully tedious. In those dark pre-digital days, we Chinese learners had to look up unfamiliar characters using the old radical-and-stroke-count method. Just searching for one pesky character might take me as much as three minutes, at which point I would have forgotten the plot of the book. The solution to my students’ problem is to go digital — that is, read your texts in e-format, whenever possible. The Chinese may have invented Chinese characters and paper, but it’s time to separate the two. Don’t get me wrong; I have a deep nostalgic love for ink on paper, but who has a leisurely hour to devote to one lousy page of text? There’s an amazing arsenal of new Chinese character processing technology out there, and it’s time we made full use it. The plethora of smart phone apps, web browser extensions, digital dictionaries and Chinese character processing devices that students are now using – or should be using – every day have totally revolutionized the previously Sisyphean task of reading in Chinese. By abandoning paper, the new digital technology finally makes it possible for the student to jump into the ocean of Chinese characters without the risk of drowning. Apps such as Pleco or KTdict feature “document reader” or “web page reader” features that allow you to copy and paste entire articles or books into a window, create a TXT file, and read the text using the pop-up window definition features of these programs. (For those of you who have been using these dictionary apps to look up words, but have never investigated the document reader feature, try it immediately! It will change the way you read forever.) If you include features like Chrome’s automatic translation tool, plus built-in tools like Google Translate, and there’s a hardly any page of modern Mandarin out there that can’t be successfully decoded by a diligent intermediate student. For the intermediate student with three or four semesters of Chinese under their belt, there is now no reason not to escape the confines of the textbook and start navigating a wide range of real-world texts. The only question is where to find such texts. Unfortunately, the world of Chinese pedagogy has not quite caught up to the potential of the new technology, and so in some cases you will need a little creative Googling to find the materials you need. The good news is that any text that is in electronic form (Word, PDF, etc.) or on a web page can be converted to a format that is readable in one or another of the digital dictionary tools available. Thanks to the burgeoning array of Internet sites and digital resources (examples of which are helpfully available right here on the Hacking Chinese site) you can begin exploring – relatively painlessly – new textual territories that accord perfectly with your literary tastes, your research, your hobbies, and even your passions. For those interested in Chinese literature, with a little clever searching you can find sites with online-accessible works such as Dream of the Red Chamber and Journey to the West are out there somewhere (see for example, Chun wenxue wang 纯文学网站), and works by modern authors such as Mo Yan, Han Han and Yu Hua can be found with a little digging (see http://www.kanunu8.com). By cutting and pasting the texts into your Chinese app, students can finally begin reading such authors with relative ease. If you want to try delving digitally into Daoism or the rest of the classical philosophy tradition, there are sites such as The Chinese Text Project. And there are an increasing number of sites that provide a wide range of public domain texts from all different areas, chosen with the Chinese learner in mind, such as “Chinese Text Sampler,” which can be found at this user-friendly University of Michigan website: http://www-personal.umich.edu/~dporter/sampler/sampler.html. By comparing the Chinese with the English, and by checking unfamiliar characters in the pop-up definition windows, a student at almost any level can read a newspaper article with nearly 100% comprehension. Warning: Not all these files you discover on the Internet will be complete, correct, comprehensive, or even legal, strictly speaking. The Internet is like a gigantic digital garage sale, and one person’s trash is another’s treasure. But if you’re serious about building a small digital library of the kinds of Chinese material that you’d like to familiarize yourself with, some sites can be absolute gold mines. Why is it so important that you begin to read more extensively? Adult learners of a foreign language don’t have the luxury of learning to speak the way babies do. To a great extent, we must absorb a foreign language via written texts. The linguist Ferdinand Saussure tells us that written language is merely the external representation of speech; the spoken language is the basis of the written language. Thus, for a student of a foreign language, who usually doesn’t have as much verbal linguistic input as a baby has, reading is a way of getting familiar with the nuts and bolts of the language, a shortcut to developing an intuitive “feeling for the language” (Sprachgefühl in German, or, in Chinese, yǔgǎn 语感). And this path is what has, up to now, been very difficult for Chinese learners. 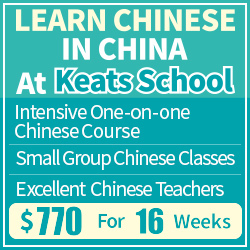 Contrast Chinese with an “easy” language like French, where the skills of speaking and reading meld seamlessly into and strengthen one another, thanks to the phonetic nature of the script (which, among other things, makes dictionary lookup a cinch). Even lower-level French students are quickly able to read and process a vast amount of real-world texts, using the written language as a vehicle to gradually acquire mastery of the grammar and syntax. This is no longer the case. Chinese is becoming more and more almost like a “normal language” from the point of view of reading. This means that learners of Chinese can now start using Chinese texts to directly bolster their speaking ability. With this in mind, it is a good idea to choose reading material that is essentially a record of natural speech, such as movie and TV scripts, transcripts of actual interviews, talk shows, lectures, and even posts on social media platforms like Weibo and Weixin. Do not worry that you might not retain all the new characters you are reading. By reading extensively and quickly, you are gaining a passive understanding of words and phrases, which will slowly become active additions to your vocabulary. The most common characters will soon be added to your long-term memory, and the rarer, low-frequency items can be thought of as temporary life vests, which can be discarded when you reach safer semantic waters. Above all, do not worry that you are not learning to write by hand all these characters with which you are having a fleeting encounter. Even Chinese natives are losing the ability to write characters by hand. The crucial skill for the 21st century learner is recognizing characters, not writing them. The approach I’m advocating here is clearly not for everyone. It still takes a student with a certain degree of dedication to get over the technological hump and create this kind of digitized reading environment. But for those willing to make the effort, the result is a new access to entire semantic worlds that were virtually inaccessible to previous generations of Chinese learners. There are still a surprising number of struggling Chinese learners who have not seen the wisdom of this paperless path. But if you are already doing the bulk of your Chinese reading with digital tools, know that you are on the vanguard of a digital revolution that will eventually free all our Chinese-learning comrades from the tyranny of printed books, those mute and unhelpful “paper tigers” who have preyed on our precious hours and energies for far too long. I have recently started working out a new system for my reading practice. I copy texts into Evernote (and attach the corresponding audio file, if available). This is then automatically synchronized with my other devices, including iPad (my most comfortable device for reading Chinese). Then I open the text I want to read, Select All, copy, and open Pleco, which I have already set to automatically check the clipboard and go into Document Reader mode if it finds more than 6 Chinese characters there. University of Michigan website: http://www-personal.umich.edu/~dporter/sampler/sampler.html. Sprachgefuhl should be Sprachgefühl (with a ‘u-umlaut’, not a ‘u’). I have a couple Chinese books I did the same thing to, but I never finished any of them. One was even a book about how to get Taiwanese girls to like you, so I was motivated to read it. I just found out the Hanping app has a setting that monitors your copy clipboard, so as soon as you highlight and copy a word, it shows the pronunciation and meaning at the top of your phone. I love it. It’s so fast. My eyes were never the same after trying to read Chinese texts on paper 20+ years ago. As a second time learner, I just can’t believe how easy it is now. There are apps/extensions that allow reading directly from web pages. I use Zhongwen Chinese Popup Dictionary and Perapera Popup Chinese Dictionary with Chrome PC version. I copy selected characters and phrases and paste them onto a note to look up in more detail in Peco or make flashcards later. Another tip: I don’t know about other e-readers, but the Kindle includes a Chinese- English dictionary, also works with all versions of the Kindle App. The dictionary is downloaded automatically when you save a Chinese e-book into your device. You won’t know it’s there until you use it, but if you’re reading a text in Chinese you can click on the characters and get the meaning. It is fiddly but it works. It also allows to build vocabulary lists. Another benefit of electronic text is you can increase the font size. Even though I have 20/20 vision, I found increasing the font size to be very helpful. The attitude towards furigana (pronunciation characters) in Japanese teaching is similar: that it is a crutch that must be dispensed with as soon as possible. I have seen some few Japanese training materials that gave furigana for the first appearance of a kanji in a chapter, but expected the reader to get along without furigana for the kanji for the rest of the chapter. Of course the purpose is to enable the student to read without any furigana, since newspapers, periodicals, and books do not supply them. My principle has been, and continues to be, not to read ANY material that does not supply FULL furigana. The two factors that make reading Chinese characters so darn hard for English speakers are: 1. no cognates and 2. weak phonetic mnemonics. There is no remedy for the first problem, but furigana completely solves the second problem. In the past, my Japanese reading has been limited to the Bible and the collected works of Soseki. Now, however, technology has completely changed the situation. A wide variety of materials are being supplied in electronic format. The google project to enter books electronically on the Internet. Amazon supplying e-books for Kindle. All e-mail. Anything that can be electronically copied can be pasted to a site that supplies furigana. The Kindle and ipod will surely have apps to supply furigana, if they haven’t already. Technology should revolutionize the teaching of Chinese characters. However, I suspect that most language teachers will be hostile these new resources. After all, technology will cheapen the value of the knowledge the teachers acquired by cramming all those flash cards. Teachers may allow furigana and pinyin a limited role in training materials. They will consider it cheating, however, if furigana and pinyin are used in language competency testing. These teachers are Neanderthals, and the sooner technology drives them from the face of the earth, the better for students of Chinese and Japanese. I started 4 decades ago, I still have my many dictionaries, including language of the cultural revolution and a handmade little red book of daily life vocabulary made by my teacher the summer I did my intensive second year Chinese at Middlebury. I read ccp political documents and tang poetry searching radical and strokes, character by character, forgetting the gist of the sentence by the time I found the word, no clues for two character words, proper nouns. All in traditional characters and through the transition from Wade Giles to pinyin. The internet brought me back to study. Still daunting. At last, I can read, using the chrome add ons, pleco.com, Google translate, Skritter etc, chinesepod. I recently read your blog article by David Moser on the results of digitization on learning Chinese. 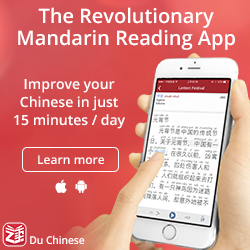 I thought your readers might like to know about a new tool to speed up reading Chinese on the Kindle Paperwhite or Voyager to take advantage of the digitization you talk about in David’s article. 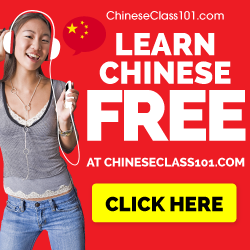 Amazon provides several free chinese dictionaries: chinese-chinese, which is difficult for learners, and chinese-english, which includes little pinyin information; both are in simplified characters only. To facilitate reading chinese texts for learners of Chinese of both simplified and traditional characters, I have recently published the LXM Chinese-English Instant-Lookup Dictionaries for Kindle (separate versions for simplified and traditional characters). The LXM dictionaries, which are based on the CC-CEDICT database and provide English definitions and pinyin for more than 114,000 headwords; each headword is shown in traditional and simplified characters. The LXM Dictionaries are “instant-lookup” dictionaries designed for use on the Kindle Paperwhite and Kindle Voyager ebook readers. 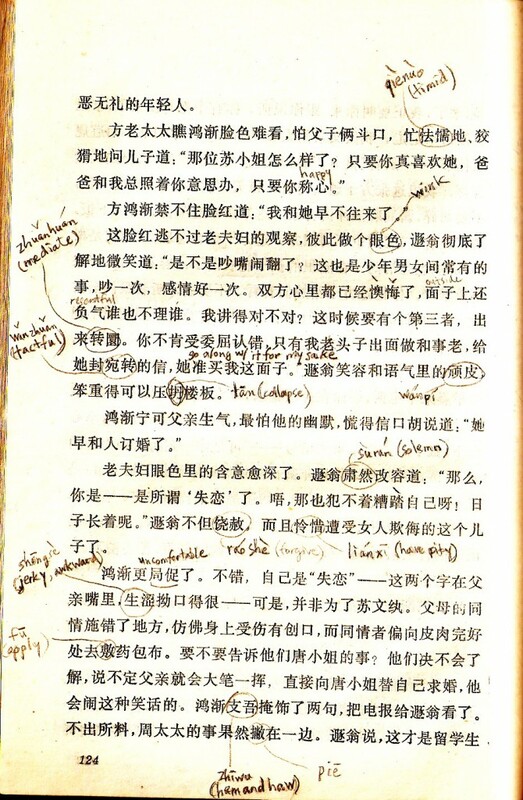 From within a chinese text, the reader highlights the desired characters, and the dictionary entry pops up–no having to figure out radicals or count strokes or leave the text being read to check a separate dictionary. 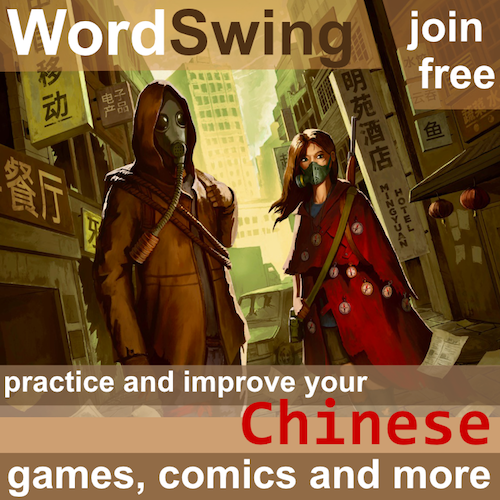 Entries include links to example sentences on juuku.com. Highlighted entries can be saved for review or use in the Kindle Vocabulary Builder. Saved entries can in turn be imported into programs such as the Kindle Mate Kindle Clippings and Vocabulary Builder Manager (see http://kmate.me), which provides tools to export words to the file format used in the Anki flash-card system. I am running a three-day promotion on Amazon beginning Thursday 2/16/17 through Saturday 2/18/17 during which both fully functional dictionaries are available for free. For further details see the LXM Simplified-Character Chinese-English Instant-Lookup Dictionary for Kindle and the LXM Traditional-Character Chinese-English Instant-Lookup Dictionary for Kindle on Amazon.